Limit 8 participants. Minimum: 5. Spots Open: 1. This is the only Appalachian Trail trip we are offering in the fall of 2018. 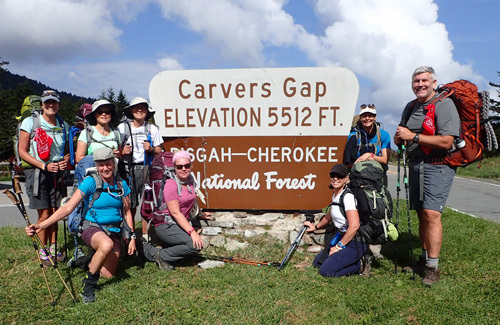 Description: Increase your level of backpacking expertise and whet your appetite for a long- distance hike on this 4 day, 3 night Appalachian Trail backpacking adventure. 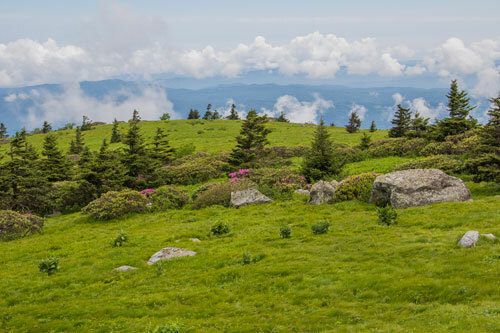 This hike includes spectacular, wide open panoramic views of the Roan Highlands, a stay at the highest shelter on the Appalachian Trail and educational workshops. Roan Mountain is famous for its spectacular natural gardens of Catawba rhododendrons. This is a great hike for intermediate backpackers wishing to increase their distance as well as number of days in the backcountry. This trip is designed for those who wish to go backpacking on the trail with experienced guides and those who wish to learn more about Appalachian Trail hiking. The night before our trip will be spent at Mountain Harbour Hostel and B&B in Roan Mountain, Tennessee,an Appalachian Trail hiker's favorite. Prerequisite: Our Backpacking Workshop and Overnight Trip or equivalent. Participants must be in good physical condition and able to handle strenuous activity for a sustained period of time. Please check with your doctor if unsure. The Roan Highlands are one of the most beautiful places on the southern Appalachian Trail. Roan Mountain is a true gem of the southern Appalachian Mountains. Whether hiking the grassy balds or strolling through gardens of tree sized catawba rhododendron, this place has a special feeling. The air is thin here and the climate feels like Canada. The wind swept forest of spruce and fir lives like an island floating above the mixed hardwood forest below. While the highest parts of the mountain have a dark mossy forest, much of the highlands are lacking trees. The Appalachian balds of the Roan are meadows in the sky. Roan Mountain is the highest point in the area, peaking out around 6,300 feet. The Tennessee - North Carolina state line runs across Roan Mountain. IMPORTANT - READ THIS! Weather on Roan Mountain is highly changeable. Severe weather can be encountered on any day of the year. Cold temperatures, thunderstorms, hail, lightning, high winds, fog and low visibility can occur in June. Hiking in the Roan Mountains is challenging. Our route includes long, prolonged climbs that are steep at times. 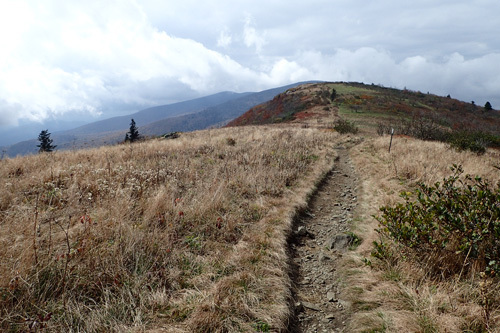 The Appalachian Trail which ascends and descends the summits of the Roan Highlands often go straight up and down the mountain without switchbacks. This hike should be considered strenuous as the trails can be rugged, rocky and muddy. This combined with ever-changing weather conditions make this a challenging hike which should only be attempted by people in good physical condition. Your pack weight must not exceed 30 pounds. Details: We’ll hike ~21 miles over four days. This trip is designed to be both a learning experience and a backpacking adventure on the Appalachian Trail. 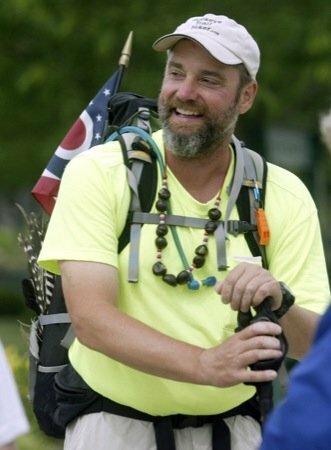 Workshops will cover various Appalachian Trail topics. 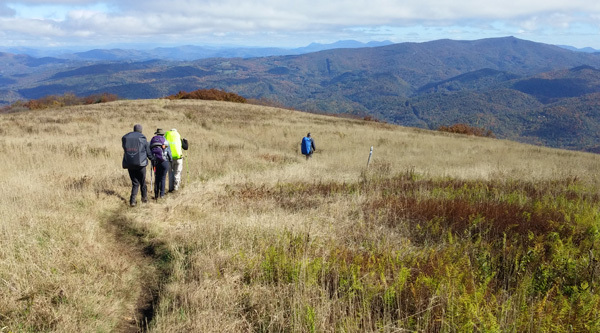 The goal of this trip is to help each participant become more confident in his/her own backpacking ability while enjoying the scenic beauty of the Roan Highlands. This pace of this hike is moderate with ample time allowed for rest breaks and dealing with changing weather conditions. Thursday: We’ll begin our day with a buffet-style breakfast at the Mountain Harbour Hostel; then catch a shuttle and start our hike at Hugh's Gap, hiking ~5 miles on the Appalachian Trail. This part of the hike is mostly uphill and sometimes steep. At the summit of Roan Mountain, we’ll camp near the Roan High Knob Shelter in tents. Friday: We’ll backpack ~7 miles on the Appalachian Trail through the spectacular Roan Highlands, including Jane Bald, Round Bald and Grassy Ridge. Accommodations for the night will be camping near Overmountain Shelter, one of the most scenic shelters on the entire AT. Saturday: We’ll backpack ~6 miles on the Appalachian Trail through spectacular Roan Highland country including Little Hump Mountain and Hump Mountain, setting up camp at Doll Flats campsite. Sunday: We’ll backpack ~3 miles back to Mountain Harbour Hostel for the return home. Showers available for $5 at the hostel after the hike. 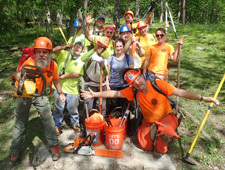 During this tip we will conduct informal Appalachian Trail educational workshops. Lighten Your Load. How to make your backpack lighter. Leave No Trace along the Appalachian Trail. Reading and understanding Appalachian Trail maps, guidebooks and data books. 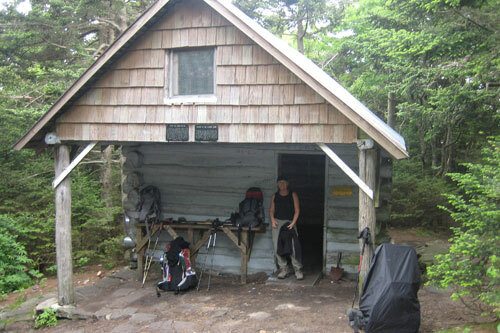 Appalachian Trail shelter usage, rules and etiquette. Campsite selection on the Appalachian Trail. Selecting water sources along the Appalachian Trail. Water treatment options: pump filters, squeeze filters, chemicals or what? Appalachian Trail lingo, slang and trail names. Food: 3 Breakfasts, 4 Lunches, 3 Dinners plus snacks. Important Note: Your backpack weight must not exceed 30 pounds. 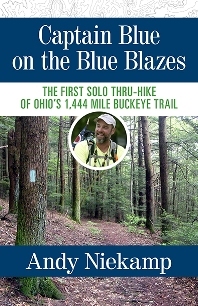 Your guide has hiked the entire Appalachian Trail four times. I loved that it was all planned for me and I could relax and enjoy it. The trail and views were awesome. The workshops were very informative. Andy made me feel safe and have fun. One of my best vacations ever! I cannot wait to get back out on the trail!! Thanks so much! – Teri H.
Thank you so very much for allowing me to be a part of this trip. The views, the climbs, the learning, and the adventure made this a great experience. – Ben K.
It was the best experience one could ask for!! Truly unforgettable and the friendships made will last a lifetime!!! – Darlene A.
I had an absolutely amazing time in the Roan Highlands. We hiked over beautiful grassy balds and mountains and had gorgeous weather, and were able to see all the mountains surrounding us. We saw beautiful flowers: rhododendrons blooming and fire azaleas and all sorts of wild flowers. I wish everyone could see such beautiful things and experience such peace, being out in nature. – Alyssa R.
Well organized and informative. I really liked the ability to hike the AT with an experienced guide. I got out of this what I hoped for and then some. The experience accelerated my learning curve and ability to do multi-day backpacking trips. – Rick J. Hiking with the other ladies. Princess Doah was great! – Kari D.
Perfect distance each day, Andy flexible when appropriate. Awesome section of trail - good mix of scenery. Cool hostel - good experience. Loved the documents to read through. Andy truly taught us vs. just doing for us. Overall great experience! – Toni M.
Operated on the Pisgah National Forest under a special use permit. Non-Discrimination Statement. What Is Included? Your registration fee includes professional guides, all workshops, course material, Wednesday pizza dinner, Wednesday night stay at Mountain Harbour Hostel, Thursday morning breakfast, shuttle and parking fees. Each participant will receive copies of the Appalachian Trail map, guidebook, data book and handbook for the section we are hiking. What Is Not Included? Gear. Meals and snacks excepted where noted above. Transportation to and from the A.T. Optional guide gratuity. Rental Gear Inquire about available rental gear. Cancellation Policy: Your workshop fee is fully refundable if you cancel 21 days in advance or if this event is cancelled or rescheduled. Make a check payable to Outdoor Adventure Connection for $410.00 and mail to our address. Please include your include your name, telephone number, email address and name of trip. Please send an email to indicating your check is on the way so we can save a spot for you. I liked that every detail was thoroughly thought out. 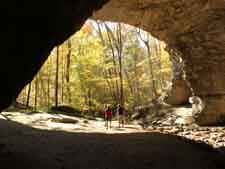 Trips like this enable the inexperienced hiker to gain valuable knowledge. Andy is the best at what he does! – Bill K.